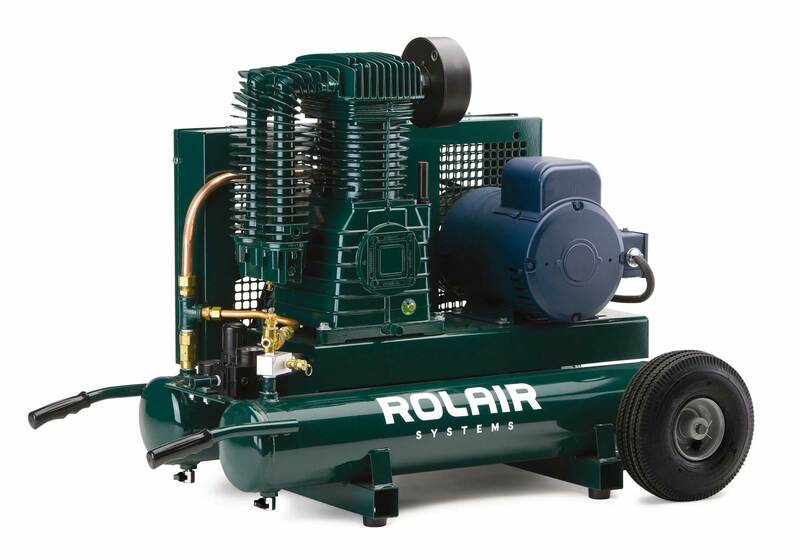 Model 5230K30CS - the biggest electric portable available - delivers 18.8 CFM @ 90 PSI. The two-stage pump allows for cooler and more efficient operation. Because of the high CFM output and for protection of the motor, this unit is built for constant-run operation. Optional Equipment: Filter-Regulator-Lubricator Sets, 20 Gallon ASME Tank. PUMP OIL CAPACITY 47 oz. L x W x H 46"x27"x34"